When you fire up Android TV the first screen you see is referred to as the launcher. It is where all of your media, apps, and shortcuts are held for launching. The launcher on Android TV is functionally no different to the home screen you would find on an Android smartphone, it just looks different. Just like the launcher on your phone, you can change the default launcher on your Android TV. While you don’t specifically need an Android TV to run these launchers, they are optimized for a larger screen experience. Here are some of the best Android TV launchers to make the most of your entertainment experience. Probably one of my favorite launchers for Android TV is Ugoos TV that was developed by a TV entertainment box manufacturer, and that is obvious from the outset. Ugoos offers a grid of apps that are presented in large, vibrant boxes and optimized for use with a remote control or remote mouse app. On the left of the screen, you’ll see a scrolling wheel that will list sections to house different categories of apps. You can see all apps installed on Android TV or filter by specific type if you know what you’re looking for. There are also options within the launcher to customize the look and feel, such as adjusting the number of rows and columns of apps. Further customizable options include nine color themes and the ability to change the background. With a 4.0 rating on the Google Play Store, you can’t go wrong with this Android TV launcher. If you’re looking for a bit more control over your Android TV, then look no further than Top TV Launcher 2. The sleek, minimal, design puts the control back to you with the ability to rearrange and place apps where you want them. Each app or shortcut is represented with a tile and with the built-in custom layout editor, you can customize the home screen into whatever arrangement you like. 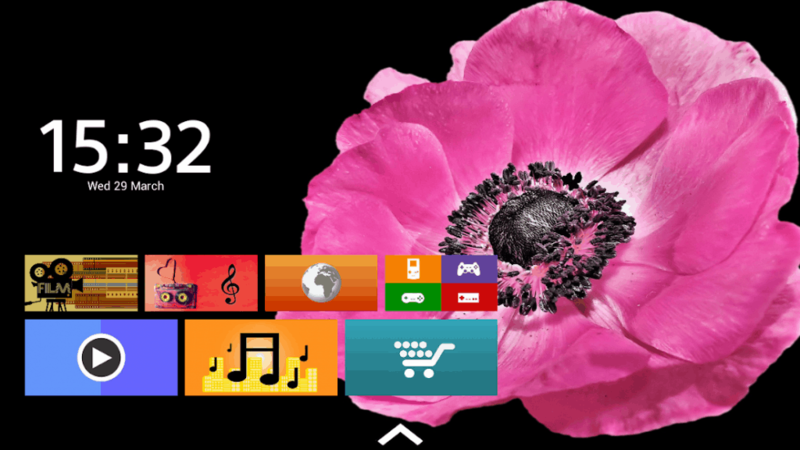 What I like about Top TV Launcher 2 is that it is completely navigatable using just the direction keys on a remote reducing the need for any complex mouse or remote controls. The launcher also supports icon packs to allow you to design your own tiles depending on the shortcut. There is a selection of pre-made tiles to get you set up with the ability to import and export configurations. Top TV Launcher 2 is a perfect compliment to the Android TV for a minimalist look without compromising functionality. Another minimalist looking Android TV launcher provides a familiar interface for anyone with a Samsung or LG TV. With a long row of apps or shortcuts in a linear fashion, the design is akin to what we’re accustomed to seeing on a smart TV. With TvHome Launcher, you can now bring that design to Android TV. The launcher is resource friendly given its light design, and as such, there is little to no lag when navigating around the launcher. Unfortunately, the disadvantage of being so light means the launcher lacks many of the customization options of other offerings, but that might not necessarily be a bad thing for some users who want a simple alternative. 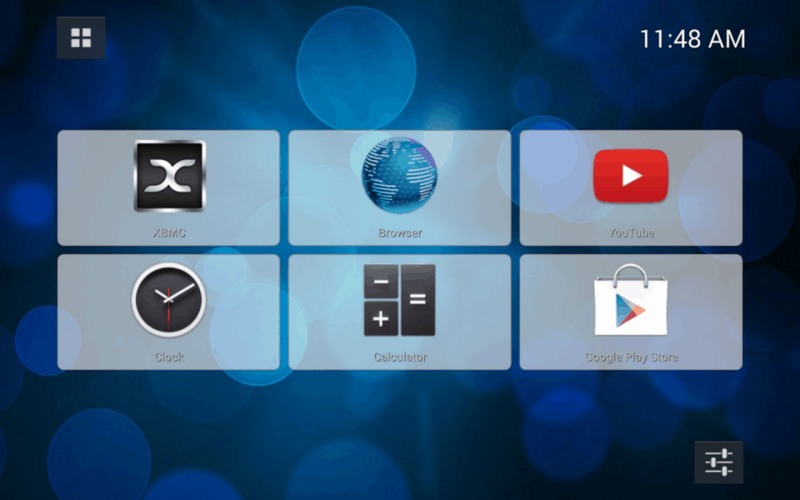 Aptly named, TVLauncher 3 is a refresh of a very popular older Android TV launcher. Designed for the big screen, the launcher has been designed with a focus on navigation using a remote or controller to ensure easy switching between apps. Like the other offerings, the apps are arranged in a grid format and are sorted into sections such as Media, Games, or Utilities. 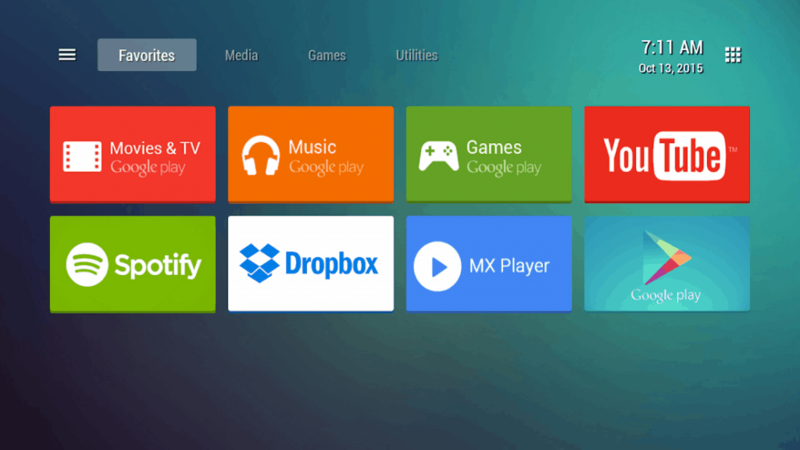 You can customize the appearance of the tiles and is a simple and straightforward solution for organizing your apps for Android TV. Again, this launcher possibly doesn’t offer the enhanced settings as some of the other options but is an excellent option for those users just looking to replace the stock launcher without a ton of configuration. Rounding out the list is the most basic launcher of all for those who want to make their Android TV look like old school Android. Simple TV Launcher will give you access to a tiled list of your apps organized in large icons for viewing from a distance. The grid of six applications is customizable to pin your favorite go-to applications, and there’s even a clock! Simple TV Launcher is open-source so may appeal to some folks who like to know the inner workings of anything they install. It is, however, extremely dated but makes the list as sometimes all the bells and whistles isn’t necessarily a good thing. That rounds up the best Android TV launchers to change the experience, with each solution offering options for those who prefer to have a bit more customization available, to those who prefer some minimalistic and simple. While there are alternatives, the stock Android TV launcher that comes as standard by Google does do a pretty good job of arranging and offering quick access to your media and installed apps. However, for those who want to change things up, hopefully, the list above has suggested a good alternative. If you have a different Android TV launcher that didn’t make the list, please leave a comment below and let us know your favorite.